Welcome to the internet home of Virginia's District 5 Little League. This page has been set up to keep you informed about upcoming District 5 events, as well as the latest results from this years tournament play. Keep checking back for all the latest news from District 5. 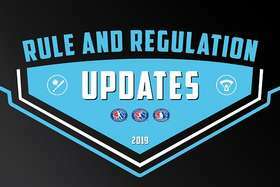 All of the rule and regulation changes and updates for 2019, which include changes to the pitcher-to-catcher threshold; guidance on when the pitcher’s hand can come in contact with the pitcher’s mouth/lips; as well as policy updates, can be found by visiting LittleLeague.org/Rules. Effective immediately, Little League has amended Rule 1.10 for Little League Baseball for the Coach Pitch/Machine Pitch Divisions and the Intermediate (50/70) Baseball Division and Junior League, to reflect this guidance from USA Baseball. Read the fully updated Rule 1.10 on LittleLeague.org.